Taupo District has a number of parks and neighbourhood recreation reserves for public use and enjoyment. The facilities located on our reserves may include seats and picnic tables, playgrounds, public toilets, BBQ's, paths, lights, parking areas and rubbish bins. Dogs are permitted on most reserves, but they must be on a lead. Dogs are prohibited from sports grounds and children's play areas. There are nominated dog exercise areas around the Taupo District where a lead is not required. We provide free 'pooper scooper' bags in dispensers on reserves where dogs are permitted. Dog fouling on a park or reserve is an offence. To ensure the safety of those enjoying our reserves bylaws are in place that restrict the use of motorised vehicles, trail bikes and motorbikes, horses, lighting fires, and alcohol on parks and reserves. Camping is not permitted on most of our parks or neighbourhood recreation reserves. 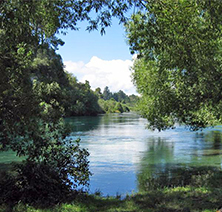 There are specified camping locations in the Taupo District. Some of our reserves provide boat launching facilities. There are rules and regulations in place for boat launching in the Taupo District. We also control, administer and manage the 49 boat pens located at the Nukuhau Boat Reserve, 14 Rauhoto Street. Lake Taupo Harbourmaster has more information on boat launching and locations in the Taupo District. Reserves can be booked for events or functions. You can submit a request to book an event venue via our Planning an Event page. Longer term occupation for clubrooms, business or trade, or recreation facilities will require a lease or licence. Please contact us via email, info@taupo.govt.nz, with details of your proposed activity. Tongariro Domain is Taupo's main park situated adjacent to the Central Business District. The domain is a popular area for our community and visitors to enjoy a leisurely walk, a picnic or to take their children to the playground area. The Garden of Significance in the South Domain is a lovely place to visit if you enjoy roses, flowers, or native and exotic shrubs and trees. 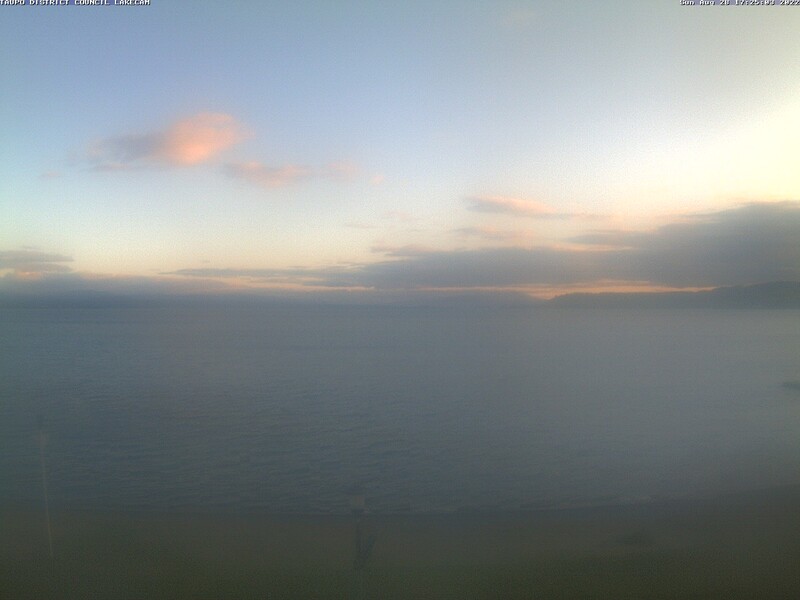 Tongariro Domain is central to many of the Taupo district's major recreation events such as the Ironman, the Mizuno Half Marathon, and Lake Taupo Cycle Challenge. It also houses the Taupo Library, Great Lake Centre, Information Centre, Taupo Museum with the 100% Pure NZ Ora Garden of Wellbeing and the Super Loo. Other facilities include the police station and courtroom, tennis courts, bowling greens, playground, senior citizens' hall, rose gardens and miniature train. Situated within the Tongariro Domain, Riverside Park is located on the banks of the Waikato River. Riverside Park is the home of the Riverside Market on Saturday mornings throughout the year. It also houses the amphitheatre which is used for outdoor concerts. Spa Thermal Park is located off Spa Road and provides access to the Huka Falls Walking Track and Rotary Ride Bike Track. At 41 hectares, with wide open spaces and pine trees, it is one of Taupo's largest and oldest parks. The park has had a long history of geothermal activity but geyser activity is now dormant. Spa Thermal Park is a designated dog exercise area. This reserve stretches from the Taupo Yacht Club near the beginning of the Waikato River on Ferry Road, south east along Lake Terrace. It adjoins Two Mile Bay linking to further reserves around the lake to Wharewaka Point and Five Mile Bay. The Great Lake Walkway runs the full length of the reserve. The reserve has good swimming beaches. Toilets and barbecues are located at Hot Water Beach, Two Mile Bay and Wharewaka Point. Boat launching ramps are located at Two Mile Bay and Secombe Park. Hipapatua Recreational Reserve is closed to campers between May 1 and October 1 for site maintenance, in line with its reserve management plan. More information on Hipapatua Recreational Reserve can be found on www.rankers.co.nz. Te Kapua Park is situated North of Turangi town centre on Te Rangitautahanga (Tautahanga Rd) Road. It has 4.3 hectares of grass with some mature trees. On the south end of the park is the Genesis Energy Turangi Aquatic Centre and on the western side are the sports pavilion and tennis courts. There is also a playground area with a large climbing net as well as an outdoor basketball court and skate park. The park is also available for carnivals, circus events and outdoor shows as well as casual sporting events not requiring marked playing areas. Please contact the Turangi Office - 07 386 7017. Located on the eastern side of the Mangakino township adjacent to Lake Maraetai, the reserve is approximately 25 hectares, most of which is leased to the Mangakino Golf Club. The golf course is 10 hole and is considered quite challenging due to its undulating nature, visit www.mangakino.net.nz and follow the link through community groups' for more information. There is a boat ramp and jetty, play equipment, barbeque and picnic tables on the north end of the reserve. The Waikato River Trails passes through the reserve and this section of the trail features spectacular lake views and boardwalk sections through wetlands. The river trails is open to running, walking and cycling please visit www.waikatorivertrails.com for more information. The Mangakino Recreation Reserve is located on the right of Lake Road and down to the edge of Lake Maraetai in Mangakino. The designated camping area is located between the Pouakani Marae and Bowling Club'. Entrance to this area is off Moana Crescent. There is very limited camping space close to the toilet block at the lake front, where power outlets are available for $5 per night (paid to The Bus Stop Caf). Campers may stay a maximum of two nights, or one night between Christmas Day and January 10. An 18.5 hectare reserve located approx. 5km southeast of Mangakino township and about 5km from Whakamaru Village (follow SH30). Whakamaru Domain is leased to a local sporting group who operate the Mangakino Moto-X track on the site. The rest of the reserve is leased for grazing. There is walking access to Lake Maraetai by following the main track through the reserve. The Waikato River Trails pass through the reserve that has an iconic suspension bridge crossing the Mangakino Stream a short distance to the north. A limited amount of camping is permitted on the reserve by arrangement, please contact the Mangakino Office for further details - 07 882 8700. Toilet facilities are available. In addition to the main reserves there are 98 smaller amenity and local neighbourhood reserves scattered throughout the Taupo District to enhance the urban environment and provide space for relaxation, walking, informal games, access and dog exercise. For more information on playground facilities, please visit our Playgrounds webpage.